Participants attend a two hour session over 5 consecutive weeks. The program is designed specifically for people in the early stages of dementia who still live in the community. Participants are able to bring a family member or friend with them if they like, who would attend a concurrent session. The program focuses on practical strategies for living well with dementia. Registration is essential as numbers are limited. 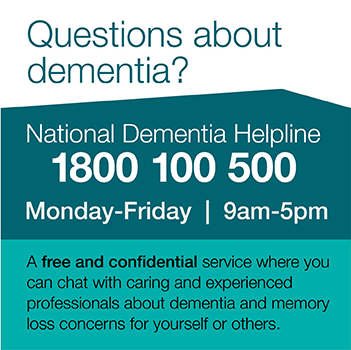 For more information or to register your interest, please call Dementia Australia SA on (08) 8372 2100.